Sill pans are important and staying up to code and protecting your doors and windows from water damage is easy with accessories from Hawkeye. More and more, contemporary codes are becoming more astringent in regard to water flashing around doors and windows; primarily because they require sill pans to drain all water intrusion to the exterior of your structure. Generally, sill pan solutions are almost always hidden from view; but with Hawkeye’s expertise, proper planning and a detail design, an exposed sill can complement your doors and windows. When there is use of fully exposed sill pans it is assumed that other possibilities for sills such as stone, tile and brick will not be used. If these options are used for a window sill, a semi-exposed sill pans will always be recommend. At Hawkeye Windows and Doors, the most popular choice is our heavy aluminum extruded sills that can easily be color coordinated to match the window. For wall designs that incorporate stucco, the accessory can also be colored to match the stucco with fabulous results. There are also other options available for sill pans such as aged copper, steel and stainless steel; but for doors, our most commonly recommended product is a non-slip heavy aluminum pan or a stainless semi-exposed product. 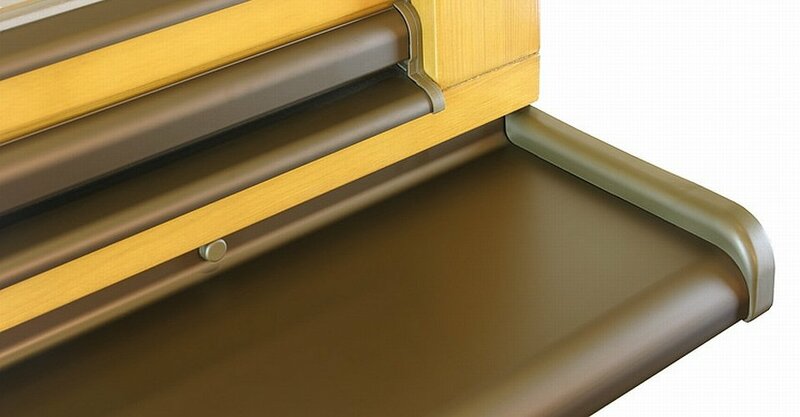 In need of quality sill pans for your home? Call us to discuss your options- we have just what you’re looking for!